Speaking for an hour without notes, Ed Miliband outlined the case for electing Labour into Government in 2015 at the party's annual conference yesterday. Alongside headline-grabbing and controversial proposals to freeze energy bills for 20 months, he also defended the NHS, backed lowering the voting age to 16 and set out a vision for an economy that works for "ordinary people once again". Miliband did not mention the Liberal Democrats, but sought to tackle Tory criticism head-on, stating: "If they want to have a debate about leadership and character, be my guest." Miliband gave a bravura performance. There was substance and a populist edge, which played judiciously on fears that a Tory recovery is for the few, not the many. He took the fight to Cameron and effectively addressed the character issue with a smart distinction between their personal values. The slate of policies also seemed tactically astute: a tick list designed to appeal to his "‘one nation" voters. Worried about energy bills? House prices? Jobs and wages? Childcare? The environment? There was something in there for you. No doubt it did the job of rousing and uniting the party faithful. But conference speeches as hyped as this and months in the preparation are for more than that. They define for voters and the media where the party is going. Price fixing, land grabs, dramatic market intervention, attacks on big business? They all shout that Miliband is veering hard to the left. Elections are fought and won on the middle ground and Ed has jumped off of it. Further, Labour still lacks a clear or positive narrative on the economy, without doubt the key issue for 2015. Its credibility on this issue will be further undermined by the wave of criticism now coming from energy companies and big business. 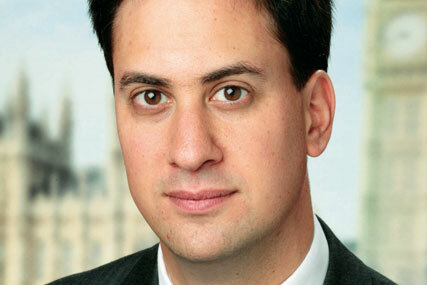 Miliband has focused on tactics rather than strategy; policies rather than narrative. As a result, the big picture is being defined for him rather than by him. He’s now caught in a double bind: last year’s speech was criticised for lacking follow through, but putting flesh on the bones this year can do little but add to his caricature as ‘Red Ed’. Behind praise for the performance, some in Labour must worry that this lurch to the left, away from the centre ground, is already an admission of defeat in 2015. Was Dacia's campaign a hit or a miss? Tell us in the comments, below.